Pamela Fisher, DVM has personally observed positive responses from Music and Vibrational Essences in her Holistic Veterinary Practice in North Canton, Ohio. She has a unique and direct perspective on how alternative healing choices can address physical and emotional imbalances to dramatically benefit the vitality of our pets. She comments: “Most of my patient challenges turn into miracles every day, and by providing proper nutrition and balance, our animals can use their innate ability to self-heal.” Her Holistic Pet Therapy Center and Natural Pet Store provide educational classes, holistic health care and public awareness of holistic options for pets and their owners. 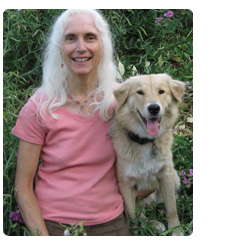 Dr. Fisher regularly contributes her time to the RESCUE ANIMAL MP3 PROJECT, fundraising events and consults with several wild animal rescues on the use of herbal and homeopathic remedy use. Now, her dream of providing calming music and products to help all the animals has become a reality with the creation of CALM MY PET. This is her way of reaching out and helping as many animals as she can worldwide. In 2011, Dr. Fisher founded the non-profit Rescue Animal MP3 Project with her passion to improve the quality of life of rescue shelter animals across the United States. Her organization donates free MP3 players filled with 30 hours pre-recorded music that is specifically formulated to provide a calmer environment for animals. Shelter Follow Up Evaluations show up to 95% less barking (an average of 54%) and the animals are an average of 58% more relaxed! Many rescued animals are often traumatized and fearful as a result of challenging life experiences. Dr. Fisher shares the passion to improve their quality of life and as a result she founded the non-profit Rescue Animal Mp3 Project. This organization donates free MP3 players filled with pre-recorded music that is specifically formulated to provide a calmer environment for animals. After repeatedly observing positive relaxation responses to pet calming music in her holistic veterinary practice, she felt that music could help calm the abandoned, and often terrified, animals in shelters and rescues. Her desire to make a difference in these animals’ lives inspired me to create the Rescue Animal Mp3 Project in April 2011. Rescue Animal Mp3 Project, a 501(c)3 non-profit organization, is a unique program designed to enrich the lives of rescued and abandoned animals in shelters. Thirty hours of pet calming music is loaded onto Mp3 players and donated free-of-charge to shelters and rescue organizations. 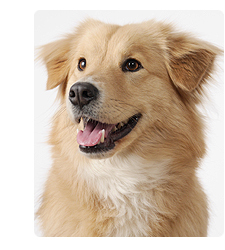 Playing soothing pet music promotes relaxation by creating a calming environment. Animals are better able to cope with the stress of shelter environments, and in turn, this improves their quality of life. Dogs and cats that are calm and well-behaved are much more desirable to adopt, thus improving society’s valuation of shelter animals. This outcome is accomplished through educating rescue and shelter workers about the benefits of calming music and how it will help the health and well-being of the animals in their facilities. In addition to the donated music, educational information is included about calming techniques, emotional essences, and shelter enrichments available to help improve the animals’ lives. The evaluation feedback has shown that the music also has a calming effect on humans who work at the shelters and visit to adopt, cultivating calm treatment of the animals. This is a new non-profit organization, and in only a little over 4 years, our project has successfully installed preloaded MP3 players in over 1280 shelters in 50 states, benefiting over 140,000 animals since December 2011. While this may sound encouraging, it must be understood that this is just the tip of the iceberg. There are over 5,000 ASPCA independent shelters, not to mention the nearly 3,000 government–run facilities where the quality of life for the animals (and workers) can be improved dramatically, with very little effort. Funding will be a critical component in the success of this heartfelt project. The Rescue Animal Mp3 Project’s volunteer board members are working diligently together to coordinate fundraising, project awareness and follow ups under Dr. Fisher's direction. Visit for more information and additional videos. Comments from dog wardens and humane society directors are available at www.rescueanimalmp3.com/testimonials. Visit our website to learn more about this project, make a donation or apply for an Mp3 music loaded player for your shelter or rescue facility and for additional information contact info@RescueAnimalMp3.org or call 330-266-2500. Your tax deductible support is greatly needed to help the Rescue Animal Mp3 Project improve the lives of all shelter animals. You can make a difference and possibly save a dog or cat’s life.